In addition to selling Australian-sourced product, this website is also a sales channel for an international partner, MyMobile Hong Kong (a Registered Hong Kong company). Import Direct products are products supplied from internationally-based distributors and shipped directly to end customers from overseas rather than from the manufacturer’s Australian locally-licensed importer. Products on the website that are supplied through MyMobile Hong Kong will be market clearly as Direct Import with seller MyMobile Hong Kong to show the product will be directly imported to the customer from MyMobile Hong Kong. 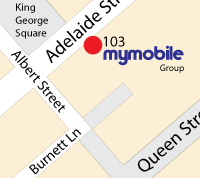 Products acquired from the manufacturer’s Australian locally-licensed importer will be clearly marked as Australian A-Tick stock with seller MyMobile Australia. Australian stock products usually come with a local warranty from the manufacturer. Because the Australian branch of the manufacturer did not import the stock, our Import Direct products mostly do not have a manufacturer’s warranty, but do come with a voluntary 12 month warranty provided by MyMobile Hong Kong. Import Direct products are not illegal, inferior, factory seconds or demo stock. In fact, in almost every instance they are identical in form and function to their Australian stock counterpart. But please be aware that as stock is sourced from around the globe, it is not uncommon for the device needing to be configured for English or packaging seals to be broken or removed. There are various reasons why packaging may be opened such as; to inspect package contents, check for the need for any power-adaptors, to network-unlock devices, etc. Be assured that devices are still Brand New and have not been used in any other way. Pricing of Import Direct products is listed in Australian dollars and excludes any applicable taxes such as GST. Tax may be levied with respect to the goods by tax and customs authorities in Australia and/or the country the goods are shipped from. For the purpose of customs and border processing, the end customer is the importer of the product and will be liable for any such taxes. Currently, items imported into Australia valued less than $1000AUD (or $400NZD into New Zealand) do not incur any import taxes or duties.